영릉(寧陵)은 조선 제17대 효종대왕(1619～1659, 재위 1649～1659)과 인선왕후 장씨의 능이며, 재실(齋室)은 제관(祭官)의 휴식, 제수장만 및 제기 보관 등의 제사기능을 수행하기 위한 능의 부속건물이다. 효종대왕릉은 1659년 경기도 양주군 건원릉(현 경기도 구리시 동구릉)의 서쪽에 조성하고, 능호를 익릉(翼陵)이라 하였으며, 그 앞에 재실을 건립하였다. 이후 1673년 석물에 틈이 생겨 현 위치로 옮겨오면서 능호를 영릉으로 고치고 재실도 함께 옮겨왔다. 현재 남아있는 조선 왕릉의 재실은 일제강점기와 6·25전쟁을 거치면서 대부분 멸실되어 원형이 훼손되었음에도 불구하고 이곳 영릉 재실은 조선 왕릉 재실의 기본형태가 가장 잘 남아있고, 공간구성과 배치가 뛰어나 대표적인 조선시대 재실건축으로 학술적·역사적 가치가 높이 평가된다. 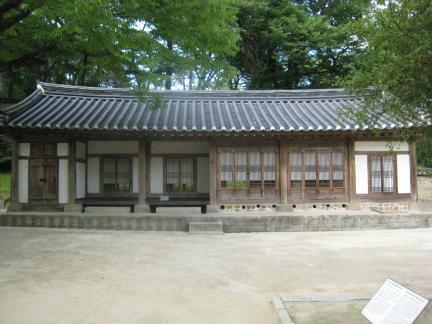 This is a tomb keeper’s house at Nyeongneung, the tomb of King Hyojong (1619-1659, r. 1649-1659), the 17th ruler of the Joseon Dynasty, and of his wife, Queen Inseon, or Lady Jang. It was used for storing ceremonial utensils and preparing food and other offerings for memorial ceremonies. Ritual officiants also readied themselves for ceremonies or rested here. 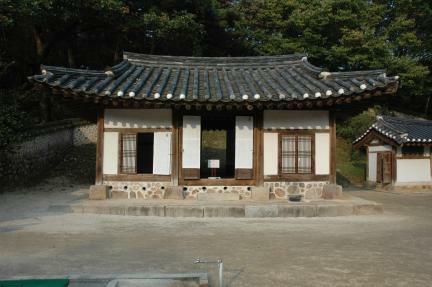 When he died in 1659, King Hyojong was buried at Ingneung, west of Geonwolleung, the tomb of King Taejo, the founding monarch of Joseon, in Yangju-gun Gyeonggi-do. As cracks appeared on stone sculptures, however, his tomb was moved to the present location and renamed Nyeongneung in 1763. This house was also moved at this time. 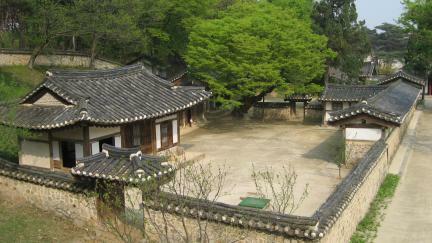 It represents important aspects of Joseon royal graveyard architecture. It has been preserved successfully unlike comparable facilities on most other royal tombs of the Joseon Dynasty, which generally suffered damage and lost their original form during the Japanese Colonial Period and Korean War in the early half of the 20th century.